There is nothing like a dame performed by irrepressible talent Trevor Ashley, and what a grand Dame he gives us in Diamonds are for Trevor. 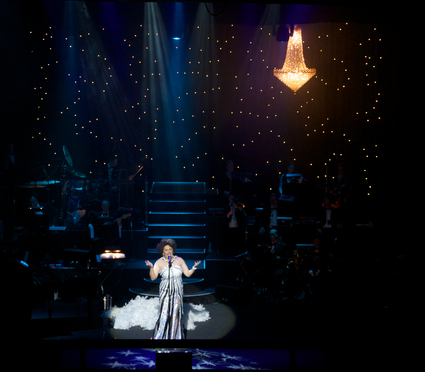 With a stellar big band to match the big gowns and hair, the show is a slick, highly entertaining tribute to the bold, brassy Shirley Bassey, sorry, Dame Shirley Bassey. In the first of several sensational Tim Chappel gowns, Ashley lands his first big Bassey hit of the night with “Diamonds are Forever.” Sondheim’s “I’m Still Here” is sung with comically tweaked lyrics, but this is basically the only time Ashley, and co-writer Phil Scott, completely re-do a song like this. The standards are just too perfect in their original form, leaving the humour to come from Ashley’s quirky, cheeky delivery. Without quite as much recognizable personal baggage to draw on as Liza Minnelli, Ashley and Scott still find plenty of bitchy barbs and zesty zingers for Bassey to toss about with reckless abandon. Portrayed as an avaricious, competitive, self-obsessed force of nature, Bassey says the things we would never dare to say but love to hear. As with other Ashley extravaganzas, the cheeky parody falls definitely on the positive side, a tribute to the great affection he holds for these divas he performs so well. And despite a clear focus on playing for laughs, there are always the reverential, tender moments where the quality of the song and the singer are allowed to shine through. In lesser hands, these moves away from comedy could be disappointingly flat, but Ashley has the crowd firmly on his side throughout. In an extraordinary example of this, the second act makes mention of a tragic moment from Bassey’s life, which has the audience with mouths agape in stunned silence. “Goldfinger,” complete with instant quick change to gold dress, is another highlight of act one. The Beatles’ epic “Hey Jude” brings the first half to an exhilarating finish. Act two highlights include a joyful double dose of Sweet Charity’s “Hey Big Spender,” which is arguably Bassey’s biggest and most recognizable hit. “As Long As He Needs Me” is a personal favourite that I was thrilled to hear. La Cage anthem “I Am What I Am” brought the night to a thrilling close. With massive long, high notes needed for all the big finishes, it is wonderful to hear Ashley in such strong voice. His joy in performing is utterly infectious, even more so with such terrific material as this. The influence of director Craig Ilott can be seen in the tight, lean structure of the show and the manageable length. The fourteen-piece band sounds superb, as conducted by this season’s music director Geoffrey Castles. The arrangements of the songs are what particularly make them take flight. Further polish on the production is provided by Scott Allan’s colourfully festive lighting. 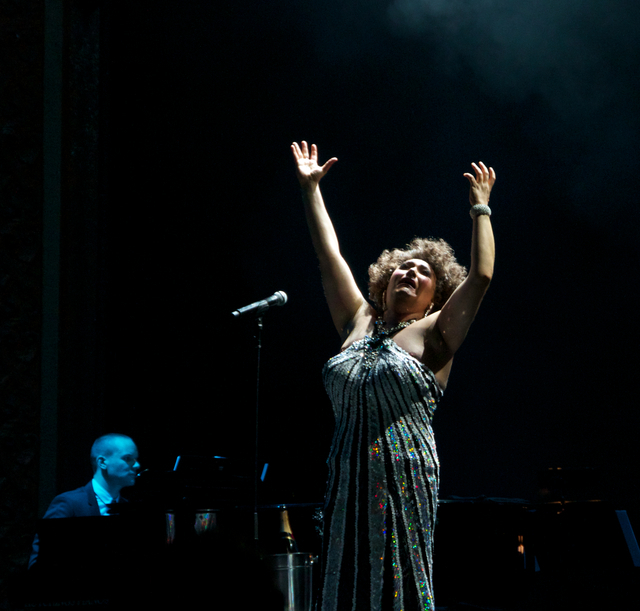 Diamonds are for Trevor plays at Playhouse, Arts Centre Melbourne, until 1 February 2014.